It is now Day 6 of my Eurotrip and another early morning for me as I try and catch my 7:20am train to Interlaken before taking a series of local train, bus and cable car to my final destination of Gimmelwald (elevation of 1363 meters). After checking out of my hostel at about 6:00am, I took the metro towards the Paris Gare De Lyon train station, and whilst doing so, I couldn't help but reflect on my time in Paris. 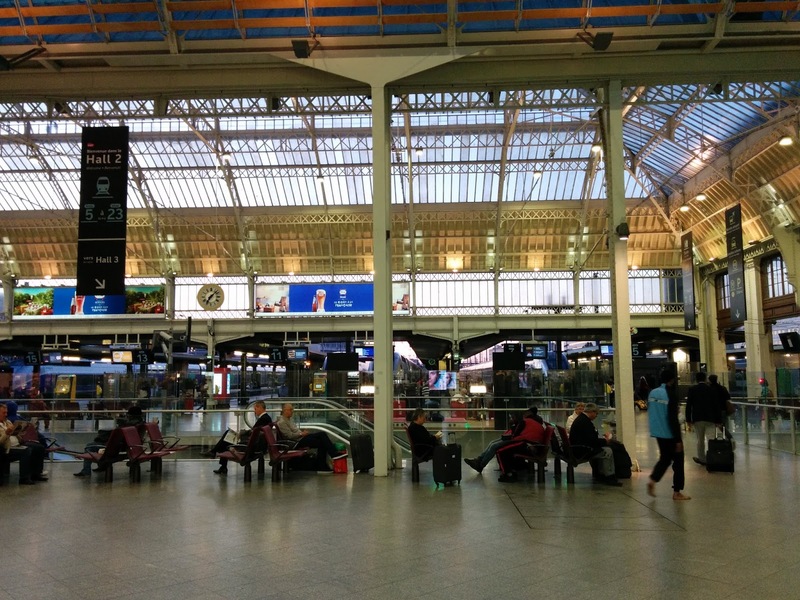 Visiting Paris has been such an eye opener and an experience I am unlikely to forget any time soon. It is one of the cities that have you looking forward to coming back before you have even left. Although there are the obvious things that makes Paris such a charming city e.g. visiting landmarks like the Eiffel Tower or trying out delicious pastries. For me it is also simple things like the efficiency of it's network of tube that get you from A to B really easily. Even if you need to transfer from one tube line to another, you are usually only waiting a few minutes before the next one arrives. Today's a pretty uneventful day with much of the day spent traveling to my final destination, so this post will be relatively short. The train trip itself provided some nice views (see this post's cover photo), and I arrived at Interlaken Ost train station at around 1pm. I originally planned to have a look around Interlaken, but ended up deciding to grab lunch and groceries at the COOP supermarket across the road from the train station before buying my ticket to Gimmelwald. One thing to note about travel in Switzerland is that it is not cheap.... Before flying to Europe, I had bought the Swiss Half Fare Card pass which is valid for one month (120 CHF) in an attempt to save some money in transportation in Switzerland. 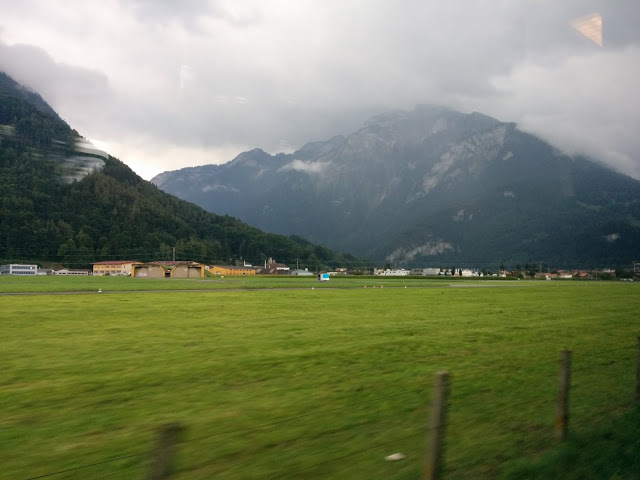 As I was only in Switzerland for 3 days, I wasn't able to get a lot of savings from the card, but if you are in Switzerland for a decent amount of time, I would definitely recommend having a look at the Swiss Half Fare Card. Getting to Gimmelwald (which is a small village in the swiss alps) requires a series of connections. At Lauterbrunnen exit the station and walk towards the bus stop to take the Post Bus to Stechelberg. This bus will take you directly to the base of the cable car station. 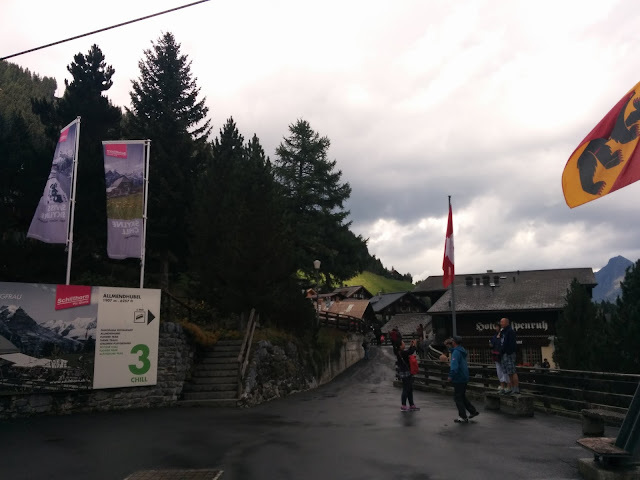 On my arrival however the aerial tramway to Gimmelwald had broken down as it was hit by a lightning. Due to this the only way to get up the alps to Gimmelwald was via the cable car to Murren and to walk down to Gimmelwald. Rant alert - Whilst I was waiting for my turn to get in the cable car, I was disgusted to see poor behaviour from a group of chinese tourists. Some of whom were spitting and littering whilst they were waiting for the cable car (This makes me ashamed to have my ancestry linked to them). I hope something is done to provide these tourists with better education on how to behave when they are visiting foreign countries as they don't seem to know or care that what they are doing is bad behaviour. 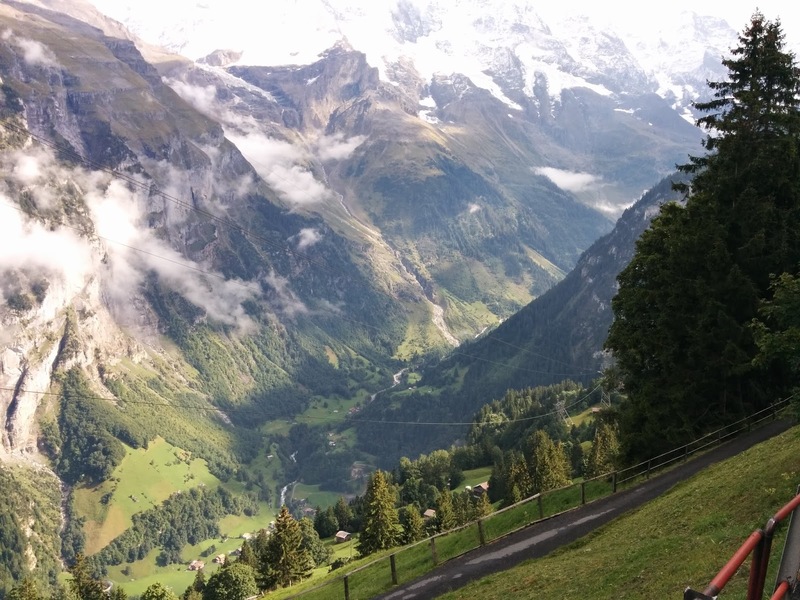 Upon reaching Murren which is a resort town above Gimmelwald (1650m elevation), I took the 30 minute walk back down to Gimmelwald, and checked in at my accommodation Esther's Guesthouse. Having spent 5 busy days in the big city of London and Paris, I am looking forward to relaxing these next 2 days at the peaceful surroundings of the swiss alps.